Today I met Aprille for lunch and after I suggested we walk over to High Falls to see how the Genesee Brew House was coming along. It just so happened that we stumbled onto the ribbon cutting! It looks really amazing. The view from the outside balcony seating overlooks the waterfall. 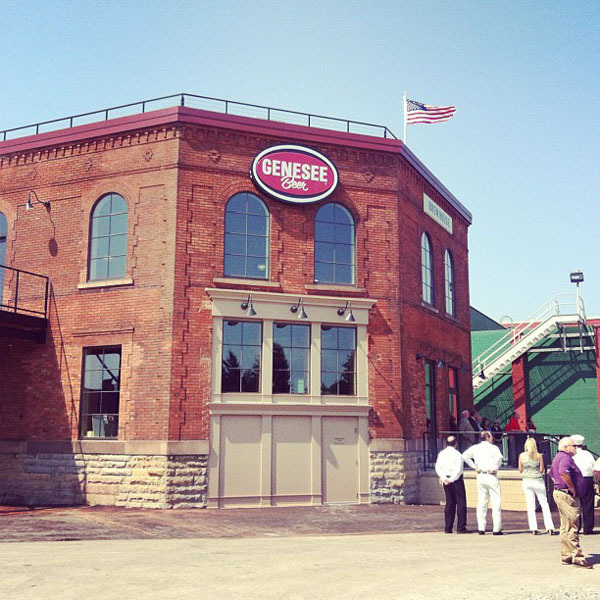 Check out the picture of the inside on the Genesee Brewery Facebook page. There is a bar where they serve food, a tasting room, a museum and a store where you can buy t-shirts, glasses etc. 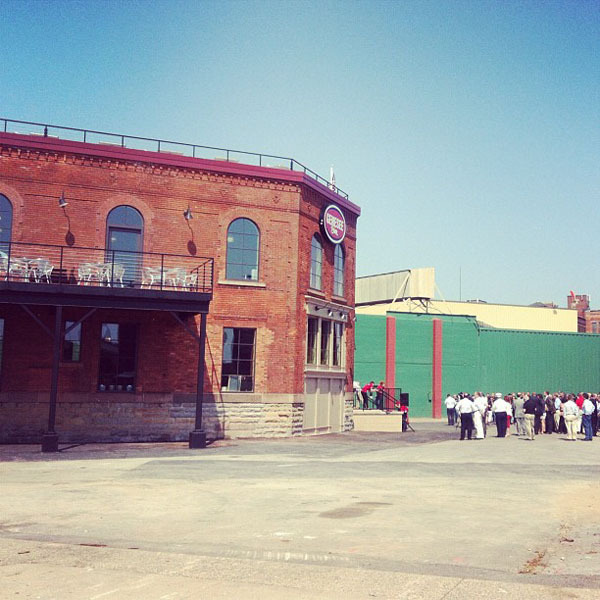 I am really excited about the new brew house because I think High Falls has so much potential, yet there is are so many empty spots there. We have been missing Empire, Jilians and Triphammer for awhile now. I am hoping this is the beginning of new business for High Falls.